We are subcontracting group that provides performance underlayments for a large variety of projects. Our underlayments are used to increase the effectiveness and efficiency of radiantly heated floors by providing a thermal mass for even and sustained heat transfer. In combination with our products that reduce sound transmission we can add a very comfortable and quiet work and living environment. Another very important issue our products address is fire safety. By installing our performance underlayments the fire rating of a floor/ceiling assembly is increased by 1-2 hrs, depending on the thickness poured. At Permafloors we stress the importance of working diligently and being dependle to deliver. On your project we work fast and professionaly to ensure that you can stay on schedule. The Permafloors team is glad to have the opportunity to work in the Big Sky state and surrounding areas, while establishing long-term working relationships with some of the best builders in the country.  PermaFloors was established in 1995 and has grown to be the largest and most reputable business for providing Gypsum Underlayment, a light-weight concrete, in Montana and the surrounding areas. In August of 2018, the founders of PermaFloors, Steve Hasterlik and Megan Limberger decided to retire and sold the business to Fraser and Galina Johnston. Fraser comes to the business with many years of management and business development obtained in the construction and oil field industries. Galina manages the office and brings organizational skills essential for the busy and complex scheduling required by todays booming construction business. Our jobsite foremen remain the same so you can be sure of familiar faces when our team arrives at your job site.